When coming in for your scheduled tattoo appointment, please have something nutritious to eat and drink before arriving for your actual tattoo appointment. This helps stabilize your blood sugar. A tattoo consultation is required prior to the tattoo appointment. This gives me the time I need to draw or design your tattoo. 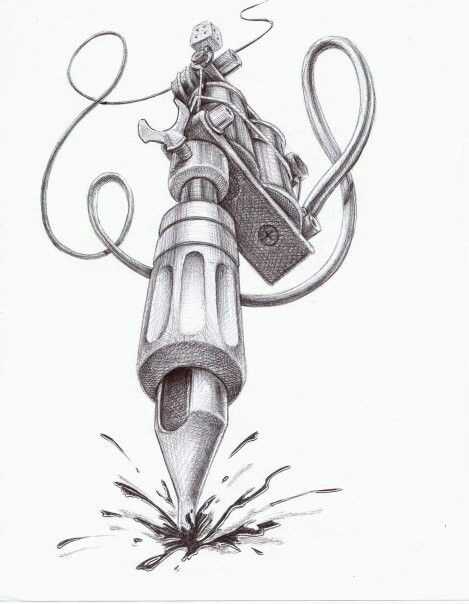 At the consultation, we will discuss your design, placement; cost, and if you would like, you can schedule your tattoo appointment at that time. If you would like to schedule your tattoo appointment when you are in studio for your consultation, you will be asked to provide a $50 CASH deposit. It is good to be prepared for this during your consultation, as I won't schedule an appointment for tattooing without a deposit. The deposit will go toward the cost of the tattoo at the time of appointment. Please note: I do not draw tattoos until a deposit is paid and an appointment set. Once I have drawn the tattoo, the $50 is no longer refundable for any reason. No drawings leave my studio. If you can’t show up for your appointment for some reason, we require 24 hours advanced notice. If you give us 24 hours advanced notice, you can reschedule your appointment and put the deposit that you’ve already paid toward your new appointment time. (Unless it is impossible to give 24 hours advanced notice, ie: sudden sickness, your child gets sick, accident, sudden death in the family, etc...) If it is not possible to give 24 advanced notice due to one of the instances listed, you can still apply your deposit towards a new appointment time. If you cancel the appointment with at least 72 hours advanced notice and I haven't yet drawn your tattoo design, you will recieve your deposit back. If I have drawn the tattoo, the deposit is no longer refundable and the drawing does not leave my studio. When you arrive for your tattoo appointment; we will go through the final steps of the design and then set up and get started. PLEASE UNDERSTAND: Even if your tattoo is one ¼” line…you will be here a minimum of at least 30 minutes. Tattoos are not a matter of walking in the door, going straight to the work area and putting the tattoo on you. There is a LOT of preparation in setting up for the tattoo. You will be quoted a price for your tattoo at your consultation. The price will not change. Even if it takes longer for the tattoo than expected, you will not be expected to pay more than your quoted price! VERY IMPORTANT: I will NOT rush through a tattoo. Please don’t plan other appointments or set an appointment time where you will have to be in a hurry. I WILL NOT HURRY THROUGH A TATTOO! Dynamic Piercing & Tattoo will NOT tattoo anyone under the age of 16. If the person is at least 16 years old, but under the age of 18; Parent must be present with minor under the age of 18. Both parent and child must provide legal identification. The parent must have a valid state issued identification such as a driver’s license (not the paper, it must be the plastic with the picture). The child must also have a legal state identification such as a picture permit or driver’s license AND the last names AND addresses for both parent and child must match on the ID’s. A valid passport OR military ID is also acceptable. You must also bring with you the state issued copy of the birth certificate for the child as well. This is because a step parent cannot sign for the child. It must be the actual parents. If there is a guardianship situation, where the child lives with a legal guardian instead of the parent; stamped, registered court paperwork must accompany the above stated picture identification. NO EXCEPTIONS!!!!!!!!!!!!!!!!!!!!!! !